After walking the show floor at E3, I came across a smaller booth that was roped off and on the outside was and LCD screen playing a trailer on a wall of LED's moving to the trailer. The trailer is what looked like an MMORPG, which I am not a fan of but hearing people speak of the title on the show floor, intrigued me. When I made my way into the booth, there were four computers for each person to play and an Xbox 360....huh? 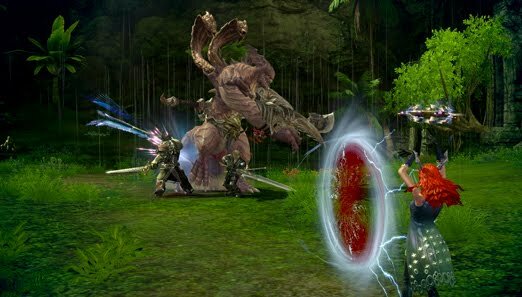 Yes, Tera is a PC subscription based MMORPG due for release in 2011, which does support game pads. After a half hour as a Berserker with my team of strangers, in the lush world battling massive enemies, could I be converted?